Costumes & accessories for the fans attending Comic-Con International..
Wigs, make-up, costumes and accessories to free your inner Comic Book Character. 2019 marks the 50th year for this world class show; the country’s longest, continuously-run comics and popular arts convention. Don’t forget there’s a Costume Contest again this year! 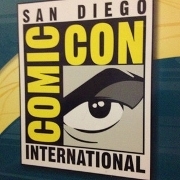 Comic-Con International, San Diego is a nonprofit educational corporation dedicated to creating awareness and appreciation for comics and related popular art forms; primarily through the presentation of conventions and events that celebrate the historic and ongoing contribution of comics to art and culture. Panels, seminars, and workshops with comic book professionals, plus previews of upcoming feature films, portfolio review sessions with top comic book and video game companies. Evening events include awards ceremonies and the Masquerade, a costume contest, as well as the Comic-Con International Independent Film Festival; which showcases shorts and feature length movies that do not have distribution or distribution deals. Gaming programs, as well as over 350 hours of other programming on all aspects of comic books and pop culture. Like most comic-book conventions, Comic-Con features a large floor space for exhibitors. These exhibitors include media companies such as movie studios and TV networks, as well as comic-book dealers and collectibles merchants. Comic-Con includes an autograph area, as well as the Artists’ Alley where comics artists can sign autographs and sell or do free sketches. Despite the name, artists’ alleys can include writers and even models. Academics and comic industry professionals annually hold the Comic Arts Conference at Comic-Con, presenting scholarly studies on comics as a medium. In recent years, the number of television shows that are promoted far outnumber films. During previous conventions, at least 80 TV shows were represented, compared to about 35 films. The shows not only promote in the exhibit halls, but also use screenings and panels of various actors, writers, producers, and others from their shows. 2019 will be even more exciting!